At the height of reggae/punk euphoria in late 1970s Britain, Virgin Records launched its groundbreaking reggae label Front Line which released 46 albums and 26 singles over a two-year period. The reputation of the label and the staggering quality of the music endures still, long after the dreary political and economic conditions of those times have been consigned to history. There has been previous repackaging of Front Line material, notably in the 1990 compilation ‘Beyond the Front Line’. But in this new five-CD release we have the definitive Front Line collection, featuring 92 tracks. More than 31 are new to CD, and a third of these are issued here for the first time. The reggae styles include roots and DJ/12” versions with a strong dub emphasis throughout. As well as the music, the box-set package includes an explanatory booklet, photos, and posters. Disc 1 features iconic performers including the Gladiators, I-Roy and the Mighty Diamonds. The ten tracks of the original vinyl release are supplemented by a number of further bonus tracks. 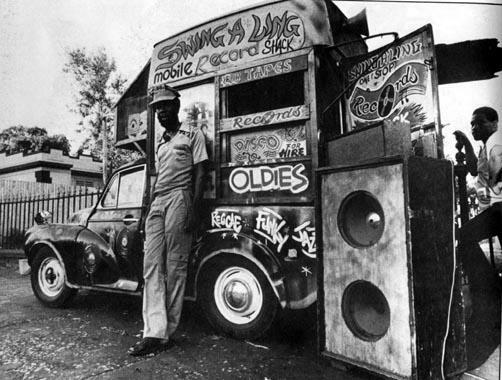 It is difficult to pick out individual songs for special attention although listening to this again after the passage of time U-Roy’s ‘Natty Rebel’ remains a standout track, an uncompromising version of Marley’s ‘Soul Rebel’ using the Gladiators’ take on the song (from their Trenchtown Mix-Up album) as its source. This is outstanding even today. The Gladiators’ ‘Know Yourself Mankind ‘– also from Trenchtown Mix-up – is included here too. Amongst the bonus tracks, ‘Killer Dub’ by the Revolutionaries and the powerful commentary of ‘It Dread Inna Inglan’ from Poet (Linton Kwesi Johnson) and the Roots are worthy of particular mention. Discs 2 and 3 add more from the same artists and also introduce further key names from this era. On Disc 2 this includes the sweet sound of ‘I Love You So’ from the Twinkle Brothers, and the remarkable ‘Make a Truce’ by Althea and Donna, reminding us that they did much more than record ‘Uptown Top Ranking’ by offering here a neglected bass-driven dub-based angry track which may come as a surprise to some. Disc 3 brings us the great Gregory Isaacs with ‘Lonely Girl’ and ‘Let’s Dance’. Also in the melodic harmony tradition can be found ‘Natty Never Get Weary’ from Culture, while I-Roy’s ‘Fire in a Wire’ blows us away with his toasting vocal mixed so far up-front the rhythm track virtually disappears. The final two discs focus on extended 12”/discomix versions and here the collection really comes into its own. Disc 4 opens with U-Roy’s take on ‘Small Axe’, vocalising over the top of an unrestrained dub mix of the original track. The extended version of ‘Pocket Money’ by the Gladiators is to be found here too, one of the defining tracks of the era, the only quibble being the abrupt edit mid-way through from vocal to dub versions rather than the more elegant transition to the found on the original (Virgin Records) 12” single. U Brown’s great ‘Black Star Liner’ is also included, its bass line instantly familiar to any reggae audience. On the final disc can be found some 12” mixes that are pretty much part of reggae history, including Prince Far-I’s ‘Throw Away Your Gun’. The sweet sound and smooth rhythm track of ‘I Need a Roof’ from the Mighty Diamonds excels in this 12” cut as it moves through into its dub version. On reflection it’s hard to credit the fact that so much classic reggae was issued during the relatively short life of Front Line. It was certainly of its time, but manages to remain remarkably fresh when heard again today. Production and sound quality is excellent throughout. Not all compilations of reggae from this period are worth such attention but this one is. Indispensible. Following their 2012 debut with ‘Rocket!’ this new album from five-piece British reggae-dub-rock outfit Tree House Fire extends their range and reinforces their growing reputation. Having played alongside The Skints (see reggaemusic.org.uk 27 March 2013), Sonic Boom Six (who offer guest vocals on this new release), Jaya the Cat, New Town Kings, Random Hand and New York ska masters The Toasters, Tree House Fire have also made a number of high-profile festival appearances including RedFest and the UK’s largest reggae and ska festival, Boomtown Fair. The fourteen tracks here exhibit several distinct influences. Together these add up to an album of strong reggae songs in differing styles. There’s an upbeat feel on tracks like ‘Hold on Tight’ and ‘Every Cloud’, joyfully reminiscent of 2 Tone, fast-paced and made to be played live. Things initially get a bit Latin on ‘Tiempo’, while ‘Battlefield’ is a good straightahead reggae tune. There is a powerful rock guitar riff underpinning ‘Beard Trimmer Dub’ with added dubby touches here and there as might be expected from the title. ‘Mr Aggressor’ features assertive hip-hop influenced vocals. ‘Dutty Girl’ is a strong track and maybe a suitable single choice: melodic and vocally strong, with a change of tempo and instrumental feel toward the end which adds to the effectiveness of the song. There’s an impression that, as the album progresses, a more serious lyrical intent can be found on songs such as ‘Pause and Rewind’ and ‘Gone are the Days’, perhaps indicating one of the possible directions in which Tree House Fire will go next. But, for now, the band present a rich and confident collection of songs that can be enjoyed in their own terms for what they are – good contemporary reggae, aware of its inspiration and its musical strengths.